The wireless bulletin board is a very selective term for this project, as it has a very broad scope rather than simply a bulletin board. 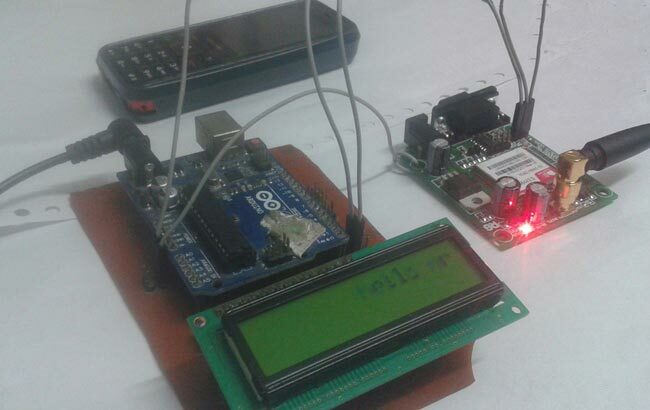 First we should understand the purpose of this project, in this system we can show a message or notification to a display device as LCD, and this message can be easily configured or changed from anywhere in the world, simply with the use of the SMS facility of your mobile device Whatever the notice that we want to show, simply send the SMS of that text, with a prefix and suffix. This is very useful in hotels, malls, universities, offices and can be used anywhere, even at home. Just like you can set the message as "Do Not Disturb" on the door of your hotel room, you can set a message in the door step of your home when it is absent, and, of course, it is used as a ads in schools, universities, cinemas, etc. Yes, it is not a simple Message Board, the utility of this project is that you can configure or change the message or announcement from anywhere, simply by sending SMS from your phone.